Item Number: 216-1-15 16840 Actual Weight: 9 lbs. 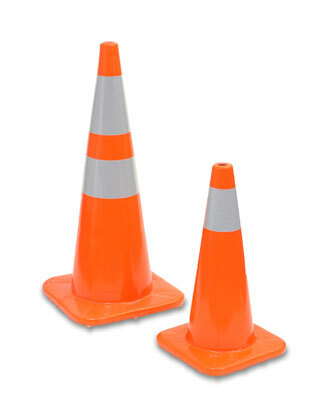 High visibility orange cones help direct traffic or to indicate the need for caution. Stackable cones can be used indoors or outdoors and have a wind resistant profile. 3M reflective band increases visibility at night.